From the 1st January 2011 all new sails have to have the blue IYA Sail Label. If you have old unused red sail labels, contact your NYA or IYA to have them replaced with blue labels. 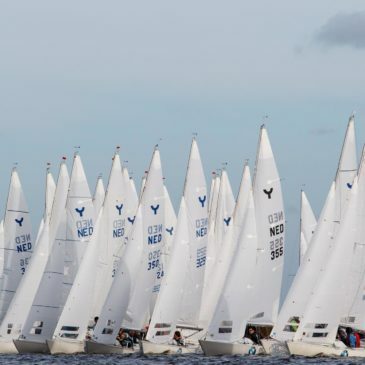 70 crews of Yngling sailors are all in Lelystad, the Netherlands to take part in the Open World Championship and Youth Europeans. Reports, results and images can be found at the event website. Springtime European Champions are once again Maarten Jamin with crew Menno Berens and Jaap Smolders from the Netherlands as they defended their win from last year. News and images and the final results.